Just a quickie today, i'm currently on a roll with tidying my room and if I sit on my laptop for too long, i'll be on it all day! Also, Friends is on Comedy Central til 6pm soo that's my day sorted really. 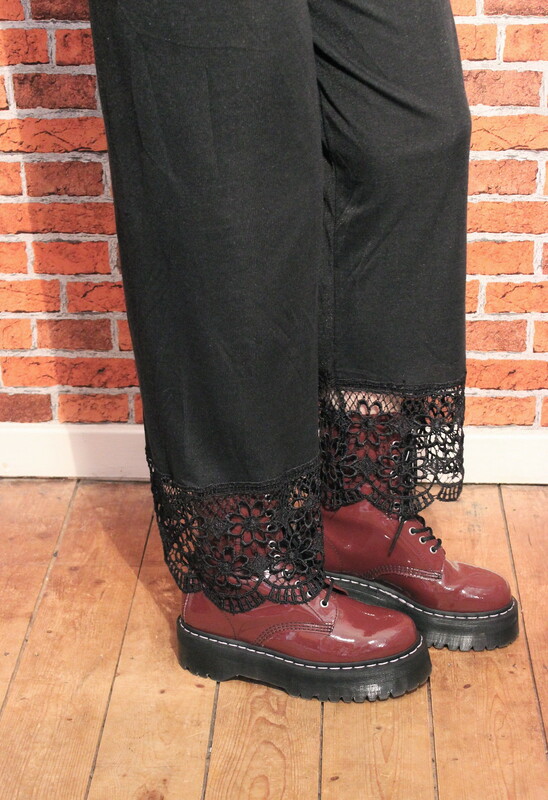 I love these vintage trousers from RedRock, literally the easiest thing to wear EVER. I wore this outfit last week to uni. I really need to put the letters on this belt onto a new belt, it looks so shabby. Love the colour of the top, and those trousers are amazing! Great combo, dear! I love your makeup! I considered buying a couple of these crop tops, they're so gorgeous! Another brilliant outfit! The bottom hem of your trousers are so pretty, the outfit was so simplistic then bam you see the hem and it makes it so badass! Brilliant looks you've uploaded this past week!! this outfit is perfect. sheesh, you have the best style girl. so nice blog nice preety looks . 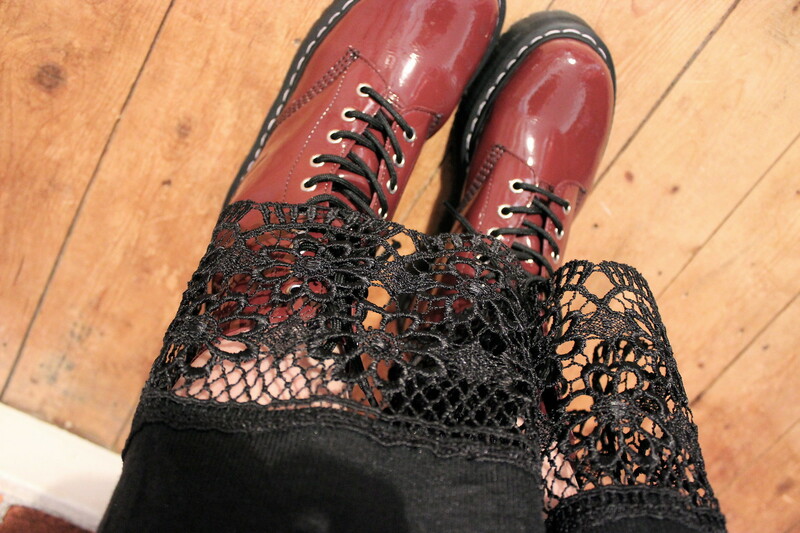 Those trousers are awesome with the Dr Martens lovely - great look! Love those trousers! 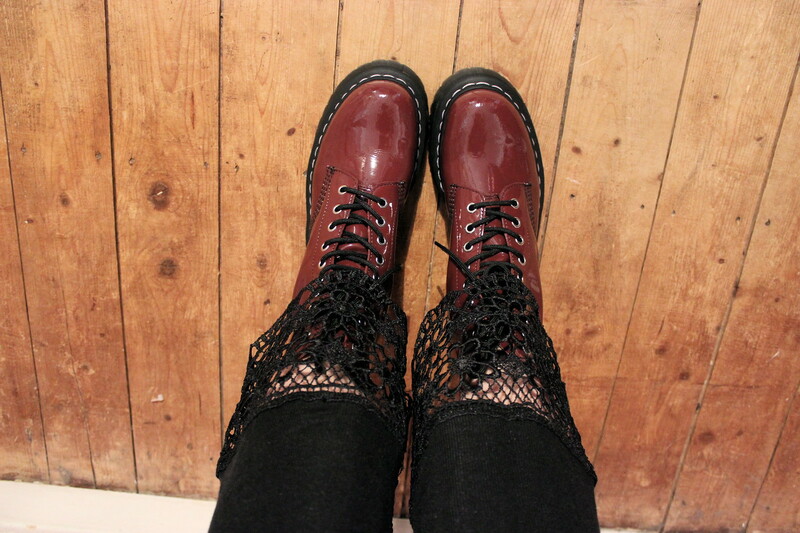 And the Agyness Deyn boots are amazeee! PERFECT. I was going to say that this was my favorite outfit from you, ever, but I think I say that in every comment, so I'll just not mention it this time (pretend you didn't read this last part). haha spent my day watching friends too! these trousers are lush! I will be getting a version of this belt, asap. Every time I see you wear it I remember how much I want it. I love the belt, the trousers are so cool and unusual! ♥ your style! The crop top looks great on you mine came in the post today.